Since the introduction of climate change focussed legislation, and carbon dioxide emissions being identified as a primary cause for the increased greenhouse effect, operators of large combustion equipment have been required by law to meet an allowance for CO2 discharge. The combustion of hydrocarbons for energy generation leads to the production of carbon dioxide, water and other compounds, which are dispersed into the atmosphere and classed as emissions. The EU introduced the emissions trading scheme (ETS) in 2005, a system whereby operators can apply for and trade part of the overall allowance based on their emissions. The regulations behind this system are detailed in European Commission Regulation (EU) No.601/2012, published 21 June 2012, which covers the monitoring and reporting of greenhouse gas emissions pursuant to Directive 2003/87/EC of the European Parliament and of the Council. This legislation is implemented in the UK by the Environment Agency and the Department for Business, Energy & Industrial Strategy (BEIS) for implementation on offshore assets. As with any analysis, sampling plays a crucial role in the accuracy of any data subsequently produced. Generally, offshore assets are required to draw samples for analysis on all feedstocks to the combustion process to determine the amount of CO2 produced to the environment from the combustion of the fuel. Pressurised samples of gas are collected in evacuated sampling cylinders which are then sent onshore for analysis. Typically for offshore installations, the fuel gas combusted to produce power to run the installation, and flare gas combusted as a part process safety system are sampled routinely. However other sources of combustion fuels routinely burned can also be sampled. Compositional analysis of the gas samples is conducted by gas chromatographic techniques based on ISO and GPA international methods. The composition is determined from C1 – C10+, along with Nitrogen and Carbon Dioxide. From this composition a series of other properties can be calculated, including density, calorific value, molecular weight, relative density, Wobbe index, VOC content and CO2 emission factor. The CO2 Emission Factor is a calculated property to evaluate the amount of carbon dioxide produced by complete combustion of the sampled hydrocarbon mixture. This - in conjunction with regulator set constants for combustion efficiencies of process equipment - can be used to determine CO2 output as a factor of the metered volume of material combusted. The reported data can then be submitted through EEMS (Environmental and Emissions Monitoring System) to the regulator on the agreed frequency for the asset. EU guidance advises that the analysis should be ISO 17025 accredited to ensure the quality of results. In recent years this has been subject to a greater focus by the regulators and as such analysis has become more frequent, with quarterly testing done as a minimum. The regulations apply to all operators of large combustion plant, so onshore terminals, power stations, refineries and other large industrial sites with combustion processes are required to produce the same data to regulators. Sampling Frequency - Conducted on a quarterly basis as a minimum. Depending on the variation in the fuel stock and the desired reporting tier there may be a requirement for more frequent sampling. Best practice is to conduct sampling as early in the given period as possible to mitigate any plant upsets, sampling issues & other unexpected issues that may arise, so that resampling can be conducted promptly as and when necessary to ensure regulatory compliance. Low Pressure - Sampling points that are under low pressure (typically flare stacks) can often result in air contaminated samples, due to the difficult sampling conditions. Ensuring that the sample point is suitably flushed and use of evacuated cylinders to draw sample can assist in avoiding this issue. Air contamination can affect the quality of the compositional results. Training - Intertek Aberdeen provide training in safe and representative sampling, covering the theory and practical requirements to draw samples effectively and safely. Since the quality of sampling will impact the validity of any analysis conducted, this is of real value to ensure quality. 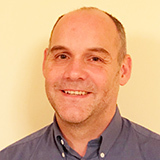 With over 20 years' experience at Intertek, Iain is our resident expert for environmental and gas chromatography analysis, Iain is also a keen charity walker participating in the annual Kilt Walk in Aberdeen.